Passionate about women’s rights and global change? 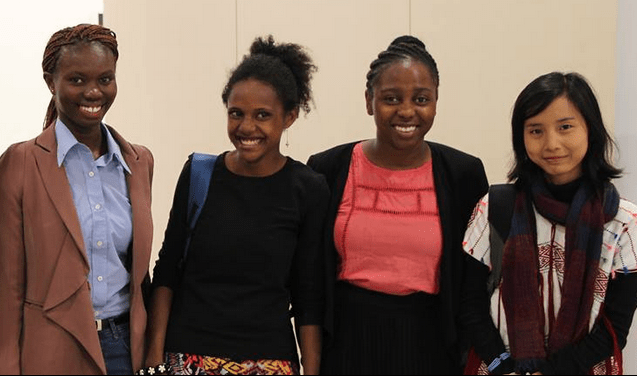 Apply for a one-year or short term-internship with the World YWCA in Geneva. About the Award: Every year, the World YWCA offers two or more one-year internships and two short-term internships for young women from the movement. Social, economic and environmental justice and faith and culture. Successful candidates must be actively involved in their YWCA, either as a volunteer or staff member and demonstrate strong interest and enthusiasm in the World YWCA movement. Generally applicants should have a minimum of two years active involvement with their YWCA. Successful candidates must commit to sharing the experience gained with their YWCA and region following the internship, and their association must commit to integrating their leadership into the association upon their return. A strong commitment to women’s rights and leadership. Previous experience in advocacy and/or activism on women’s rights is an asset. A good working knowledge of English, both oral and written, is essential. Applicants must be between 22 and 30 years of age. Independent and self-reliant, willing to take initiative, creative, hard-working, and flexible. The ability to be flexible, independent and creative with a desire to learn and a willingness to take initiative and to manage multiple priorities simultaneously. A strong commitment and passion in achieving women’s rights and leadership. A good working knowledge of English, both oral and written, is essential. Knowledge of French and/or Spanish is appreciated. Information Communication and technology competencies related skills. Programme development and implementation knowledge and experience. A willingness to be independent, hardworking, flexible, creative and take initiative. Previous experience and/or knowledge in advocacy and/or activism on women’s rights. A commitment to sharing the experience gained with their YWCA following the internship, and their association must commit to integrating their leadership/experience into the association upon the return home. Each candidate’s participation must be endorsed by her Member YWCA. Travel: Participants must possess a valid passport. The World YWCA will assist with letters of invitation and advice to facilitate the visa process, however it is the responsibility of the intern and her national association to obtain a visa for the country concerned. The World YWCA will cover the most economical and direct route airfare from and to the home country of the participant. Any additional contributions by the national association to the travel and accommodation costs would be greatly appreciated as funding for this programme must be continuously sought. Accommodation and Health Care: The World YWCA is responsible for the accommodation, basic food allowance, local transport and health insurance. Interested candidates are encouraged to fill in the application form below, send their CV, Endorsement form signed by the national association, a short essay and one reference letter by email to the Human Resources Officer at: hresources@worldywca.org. All applicants need to have been active members of a local YWCA for at least two years. This application form must be typed or handwritten in capital letters and completed in full. Personal information is needed for Swiss work permit.